Andrew Farstar, Pop & Smooth Jazz singer and songwriter, who is best known for his song “I Don’t Want to Lose Your Love” releases his new album “Hymns & Inspiration”, this Spring just in time for Easter. So why a hymns album? “I want to connect with the Christian audience out there. As a Christian, I grew up with these songs…it is just natural for me to explore this music and to interpret these classic numbers” Andrew says. “I love the Old English words in hymns. They sound elegant and poetic to me. Some of these songs have also given me peace and comfort in difficult times and I hope these songs will also do the same for my listeners. Life can be painful and full of suffering, but let these songs remind us about God’s love and grace, which will guide us through it all…” Andrew continues. In this album, Andrew showcases his ability as a music producer, singer and songwriter. Singing from Pop to Classical style, his smooth voice flows quite naturally throughout the album, which also contains a few of his own compositions. More than a year in the making, this album shines a fresh perspective with new interpretations of old favourites. Christian listeners will be quite familiar with some of the pieces in the album such as: “It Is Well With My soul”, “Abide With Me” and “Leaning on the Everlasting Arms”. “Hymns & Inspiration” is available now in both digital and CD format. 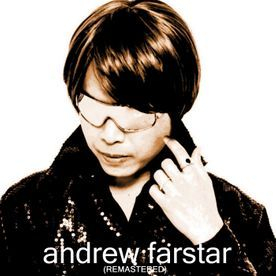 This is a remastered version of Andrew Farstar’s debut album. Featuring all of his original materials and adaptations of classical and traditional tunes, this album showcases Farstar’s abilities to create music and sound that is uniquely his own. The music was produced by several talented producers from Australia, Europe and America. Farstar worked closely as a co-producer in this album to create the sound and style that he envisioned. The highlights of this album are the new recording of “Stars Won’t Lie (My Destiny)”, a duet with Caroline Joy (a UK opera singer) in “Love Sonata (Beethoven’s Sonata Pathetique)”, “Goodbye Is Not Forever” and 2 smooth Jazz instrumental pieces of his songs. The music in this album ranges from Pop, Smooth Jazz to Classical Crossover with Farstar’s trade mark smooth vocal performance. 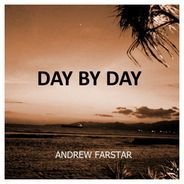 After thousands of Youtube views and radio airplays in Europe and North America plus thousands of Spotify streams, Andrew Farstar is releasing his second album. Known as a singer songwriter with smooth voice, Andrew has transformed his style from a more “adult oriented” music of Jazz and Pop AC to reach younger fans. Metamorphosis is a change of direction of Farstar’s music with the emphasis on edgy Pop sound and the trendy EDM. Farstar has previously flirted a little with these genres of music but now he put them all together in this album which also features all of his original materials. Working with different producers from US and Europe for this album, Farstar’s new album sounds like a mixture of Justin Bieber, Charlie Puth and Maroon 5, proving that he is not afraid to new musical adventures and territories. In this album Farstar collaborated with Dylan (a young L.A. Hip Hop artist) and Yuri (a Japanese female vocalist, on the Japanese version of “My Infatuation”). There’s even the sound of Gregorian chant in his song “Love Is”. Metamorphosis is unique, not only that it will please younger listener but also older ones as some of the lyrics in his songs show some maturity, not just having fun and parties. Day By Day is one of the most well known hymns in the world. This hymn was written by Carolina Sandell – a 19th century Swedish poet and gospel hymns author. 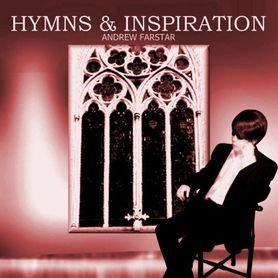 This year Andrew Farstar has recorded his version of this most beloved hymn in a modern style while still being faithful to the original melodies. With strong guitars and synth, the hymn has been brought into a new light and fresh perspective. The wonderful gospel flavoured backing vocals also bring out the charm of this piece. 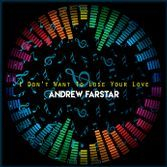 In the year of 2017 Andrew Farstar released his single “I Don’t Want to Lose Your Love” (a cover of an 80s love song made popular by John O’Banion). This single turns out to be his most popular release to date on Spotify and other streaming platforms. 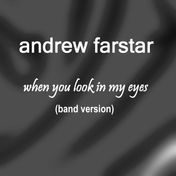 If you are a fan of Michael Learns to Rock, Westlife, Peter Cetera or Air Supply, you will definitely love this number by Andrew Farstar! 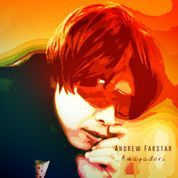 Over the past year, Andrew Farstar’s singles “I Don’t Want to Lose Your Love” and “When You Look In My Eyes” have been well received by fans and listeners all over the world. Andrew also produced the music for this song in a style that is definitely smooth and powerful at the same time. 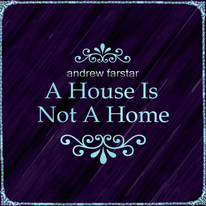 If you like Michael Buble or Josh Groban, you will definitely like this new release by Andrew Farstar. 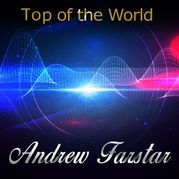 As a singer songwriter known for his smooth voice, Andrew Farstar has taken “Sealed With A Kiss” into a new level by interpreting this classic song in Jazz Bossanova style. “Walk On By” is arguably one of the most famous songs written and composed by Burt Bacharach and Hal David – the legendary songwriters from the 1960s and 1970s whose songs have been popularized mostly by the one and only Dionne Warwick. Andrew Farstar’s rendition of this song has given new fresh sound, yet still faithful to the original. Andrew has transformed this 60s Pop song into an almost Chill Out Bossanova number. Lending his smooth sultry vocals, Andrew proves that he can bring new perspective to “Walk On By” and takes it into a new height. “The Moon Represents My Heart” is arguably the famous and most loved Chinese Pop Song. Released in the 1970s and popularized by Teresa Teng (the Barbra Streisand of Chinese music), this song has appealed to the Asian public as well as in the West. Many western artists have recorded and included this song in their repertoire. From Katherine Jenkins to Jon Bon Jovi are some of the big names you can find. This is a sweet Pop Rock Ballad song produced by Greg Giacona and co-produced by Farstar himself. Farstar vocal delivery in this song ranges from his trade mark smooth vocal to strong and full of emotion towards the end, showcases his musical and artistic ability. This is a cover version of the top 60's hit "You Don't Have To Say You Love Me" made famous by Dusty Springfield. The arrangement is of Jazz/Blues arrangement that sounds very energetic, modern but still true to the song's essence. You can hear Andrew's performance here that is full of soul and emotion. Regarding the making process of this single, Farstar has worked with a top class audio engineer to handle the mixing for this song. Here's a quote from Andrew: "...I have been working with my mixing engineer David who has worked with Aretha Franklin, Leonard Cohen, John Mayer and Jennifer Lopez just to name a few. I feel very privileged to have this opportunity to work with him..."
A Big Band/Jazz version of the famous song by The Carpenters. This is quite a fresh take of this famous classic song. You can hear how Farstar’s vocal performance on this song really getting into the mood of Swing Jazz with his clever yet sweet interpretation. 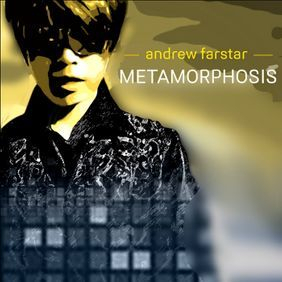 Fans of smooth Jazz will definitely love the new Jazz number by Andrew Farstar. Acclaimed to be his best performance yet, He revisits Cry Me a River – a famous song from decades ago. Andrew sings this song with emotion, vulnerability, gentleness and tenderness that only he can deliver. 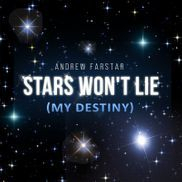 The month of October saw a new single release by Andrew Farstar titled "I Don't Want to Lose Your Love". 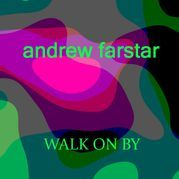 This song is Andrew Farstar’s tribute to John O’Banion – the original performer of this past hit. Farstar’s take on this song is both fresh and edgy, while still faithful to the song’s soul. The prominent sound of electric guitars brings this music into Pop-Rock territory. Amyadori is a Japanese song made popular by Mayumi Itsuwa, who is known as the “Carole King” of Japan. 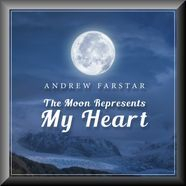 Andrew Farstar revisits this song in a totally new and fresh interpretation by combining traditional and modern elements in the musical arrangement. This project demonstrates Andrew’s capability in singing in different languages. So far he has sung in English, Italian and Chinese, and now in Japanese. “I hope my Japanese fans will like this song…” says Farstar, who is also planning to sing in different languages in the future. Andrew produced this song himself working together with talented musicians from US and Europe creating a catchy and edgy sound that will definitely please his younger fans. As a versatile singer-songwriter, this project has added more variety to his repertoire which ranges from Jazz and Pop to Classical Crossover. 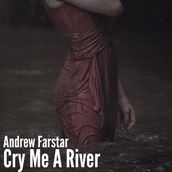 For the fans of David Foster, Toto or Jay Graydon, the release from Andrew Farstar will surely satisfy their thirst. This past underground West Coast hit has been revived by Andrew’s interpretation. With new arrangement - while staying faithful to the original - is pleasantly refreshing. his is one of my favourite songs for a long time. To finally singing it is like a dream come true to me. I also feel honoured to have worked with some talented musicians to create this music…” says Andrew. Andrew’s smooth voice delivers this song as if it was especially written for him. While the piano as the main instrument here is played by Greg Giacona whose style is very much like David Foster. The result is a pure delight.